The Cambria Hotel Akron - Canton Airport in Uniontown, OH is just minutes from the Akron-Canton Airport. Visit nearby attractions like the Pro Football Hall of Fame, Firestone Stadium and the Canal Park Baseball Stadium. We are also near the Goodyear Tire and Rubber Company. 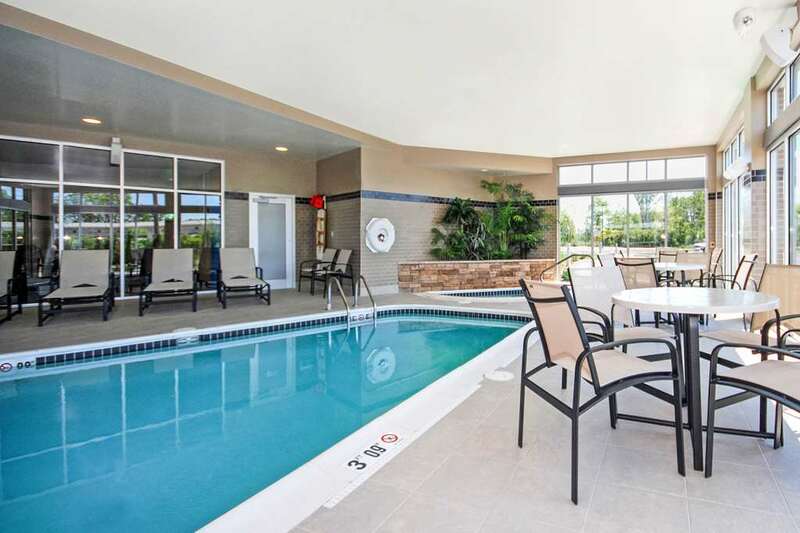 Our smoke-free hotel features free WiFi, a free airport shuttle, a business center, meeting space, a fitness center and a restaurant with a full-service bar, plus an indoor pool and a hot tub. Amenities in our modern, stylish rooms include microwaves, refrigerators, coffee makers and hair dryers. Earn rewards, including free nights and gift cards, with our Choice Privileges Rewards program.